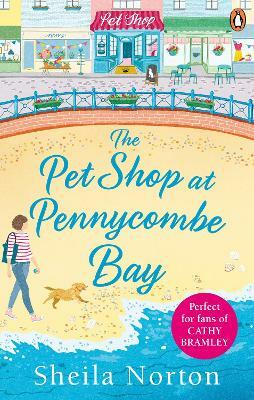 Jess is looking for a fresh start and facing an uncertain future ... She takes refuge in the beautiful Devon seaside town of Pennycombe but her confidence is at an all-time low after losing her job. She's treading on eggshells living with her cousin Ruth, who seems to be permanently angry with her, and although she enjoys her new job at the local pet shop, with boss Jim pondering retirement, it's soon threatened with closure. But with faithful dog Prudence by her side, Ruth decides it's time to overcome her shyness and make a life for herself in Pennycombe. After volunteering for Pets at Therapy she soon becomes more involved with the local community and makes new friends, including handsome Tom and his son Jacob. But her hopes of romance are dashed when she sees Tom with a mystery woman... Will Jess finally get her happy ending and feel at home in Pennycombe?